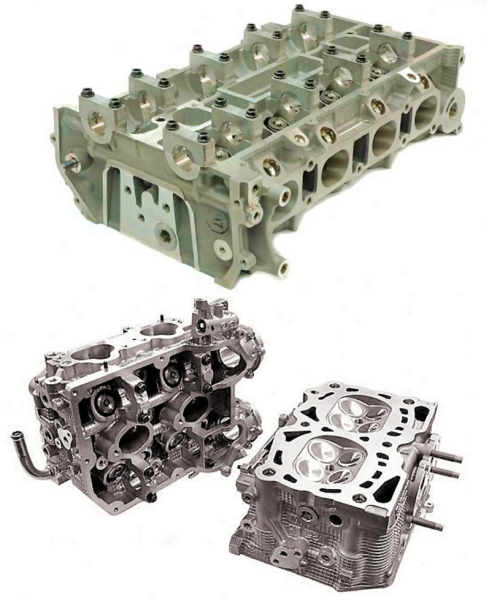 The Cosworth® process is a precision low pressure sand casting process for the production of castings made of aluminum alloys which must meet the following demanding requirements: dimensional accuracy, high strength, dense structure which is low in pores or pore-free. Examples of this are cast car components, in particular crankcases (cylinder cases), cylinder heads (Figure 1), gearboxes, fuel pumps and helicopter engine parts. The process was developed in 1978 by Cosworth Engineering Ltd., England, in particular to cast engine components in a way which meets requirements (oxide-free, low amount of pores, high strength). In the Cosworth® process, the aluminum alloy (aluminum pigs) is melted in an electric furnace (under shielding gas) and stored in a holding furnace (also under shielding gas). Casting is carried out with an electromagnetic pump which transports the liquid metal into the sand mold. 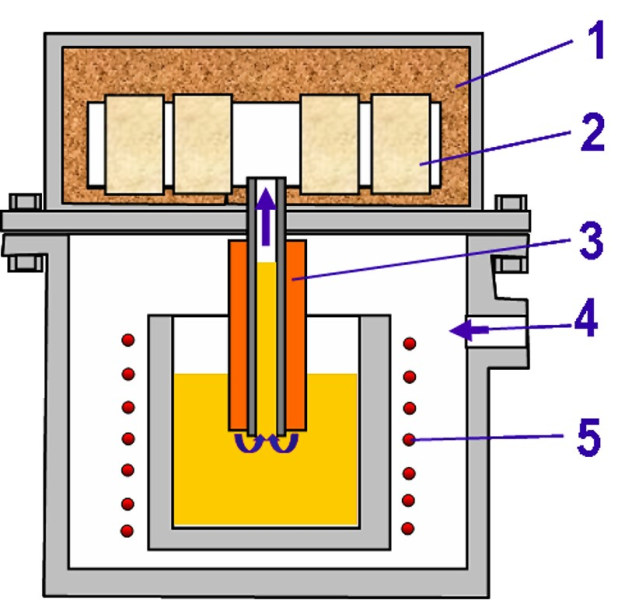 It rises up from underneath - often without a runner system and with a relatively simple gate geometry - and flows into the mold cavity (Figure 2). Through programmable control, the pumping capacity can be adapted to fill the respective mold suitably. Zirconium is used for the molds as its thermal expansion and contraction can be predicted better in comparison with quartz sand. The pressure which acts on the liquid metal in the mold cavity is maintained until the end of the solidification as in the low pressure gravity die casting process. The DISAmatic® process also works with the same mold filling methods. It differs from the Cosworth® process due to a boxless sandmold production. The Cosworth® process can be largely automated, meaning that the molds which are ready for casting travel to the casting station after one another via the electromagnetic pump.